The Stress Of All This Debt Is Dragging Me Down!! This is one of the more common things I hear from clients. And it makes sense: if you are dealing with large sums of debt, collection agencies are calling you night and day, and you can’t seem to figure out how to manage your finances, things can get pretty stressful. But one of the more pleasant components of my job is when I see someone for the first time (at an initial consultation), and by the time they have left, they are feeling much better about the future. Let me explain why. It has not been at all unusual to see people having a difficult time getting by in this economy. Times are hard, to say the least. As a result, many individuals have either lost their job, had their wages cut, or been laid off and are now earning far less than what they were used to. When this kind of thing happens, it has a tremendous ripple effect. Because it’s not as if your creditors will stop asking for money when the monthly bills come due. At this point, a lot of people will go further into debt by taking out yet another credit card to pay on the one that they are about to fall behind on (literally robbing Peter to pay Paul). Or, they will allow the debts to go into default, and a collection agency will pick it up. This is a road that often leads to heartache and stress of an enormous magnitude. Things can seem completely out-of-control, your life spinning beyond your grasp. But there are better times ahead. When you file a Missouri or Illinois bankruptcy, your debts are automatically put on halt. The creditors are no longer allowed to demand money from you (they can’t even call you anymore), and you are no longer obligated to pay them. If you file a St. Louis Chapter 7 bankruptcy, your unsecured debts (like credit cards, medical bills, payday loans, etc.) are discharged completely. When you file a St. Louis Chapter 13 bankruptcy, you are put into a repayment plan in which you pay back certain debts over a period of three (3) to five (5) years (like mortgage arrearage, car notes, tax debt, and back child support). But once the bankruptcy is complete (regardless of which chapter you file), the remaining debts are knocked out. This is what is described as the ‘fresh start / clean slate’ of filing for bankruptcy. It wipes the slate clean, and allows you to start your life from a fresh position. Rebuilding your credit score and rating is much easier from this position, and the stress that you had been dealing with before is now completely washed away. 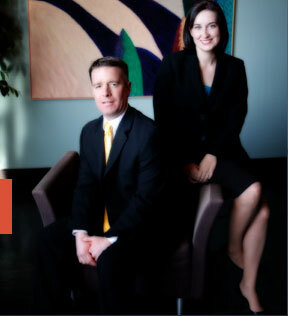 The affordable St. Louis bankruptcy lawyers at Brinkman & Alter, LLC have been providing bankruptcy legal services for years. Our goal is to make sure you are put in the best spot possible to reestablish yourself, move forward with life, and get that piece of financial freedom you deserve.